Ramky estates & farms ltd..: Ramky Estates & Farms Ltd. Is Participating In India's Biggest Property Show "Gruhapravesham 2017" @Hitex, Hyderabad on 24th & 25th of June 2017. 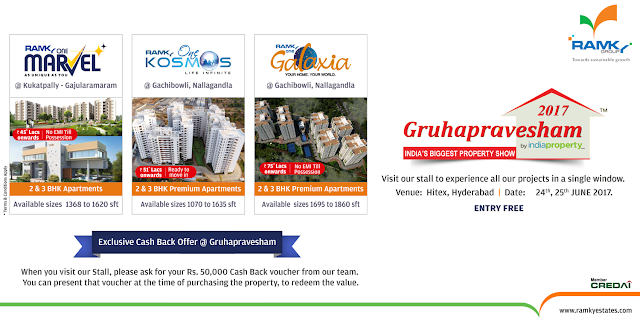 Visit our stall to experience all our projects in a single window & also avail our exclusive offers. Kindly mark the dates and visit the Expo. Entry free.